Witness the rise of the Tudor dynasty—in this concluding volume to Conn Iggulden’s vigorous and commanding retelling of the Wars of the Roses. England, 1470. A divided kingdom cannot stand. King Edward of York has been driven out of England. Queen Elizabeth and her children tremble in sanctuary at Westminster Abbey. The House of Lancaster has won the crown, but York will not go quietly. Desperate to reclaim his throne, Edward lands at Ravenspur with a half-drowned army and his brother Richard at his side. Every hand is against them, every city gate is shut, yet the brothers York go on the attack. But neither sees that their true enemy is Henry Tudor, now grown into a man. 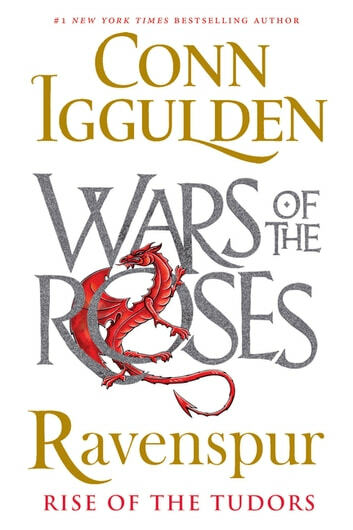 As the Red Dragon—“the man of destiny”— his claim to the throne leads to Bosworth Field and a battle that will bring an end to the Wars of the Roses . . .